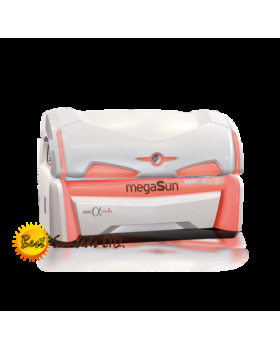 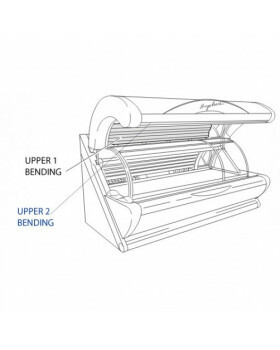 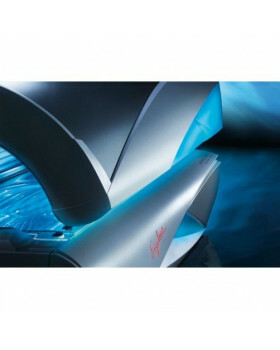 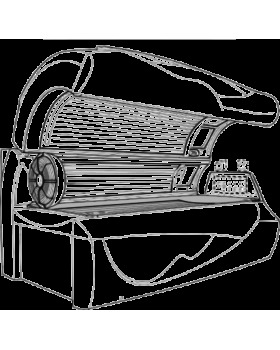 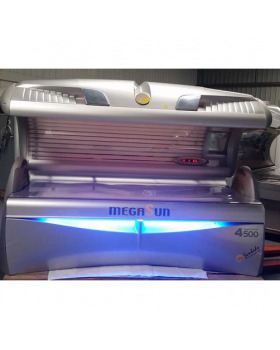 The Ergoline Evolution 600 with 46 body lamps, 3 facial tanners and additional 13 25W shoulder and neck tanners provide an even more outstanding tanning result. 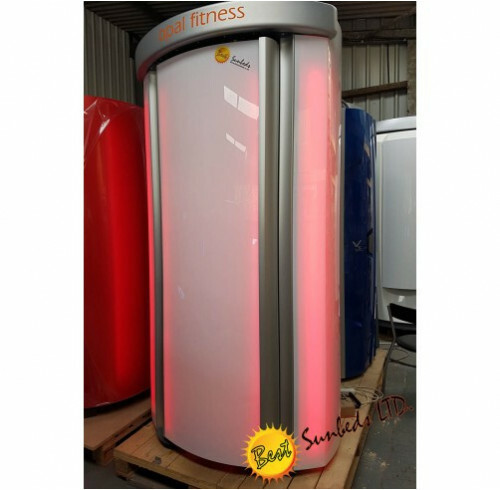 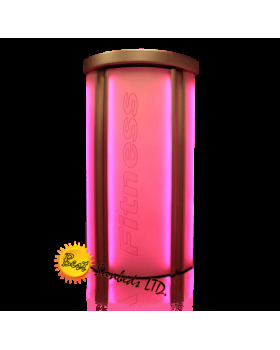 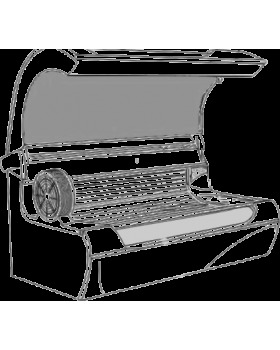 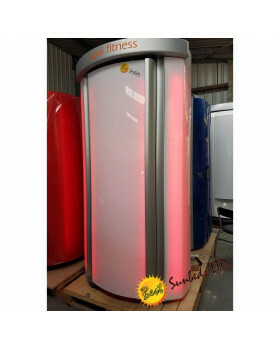 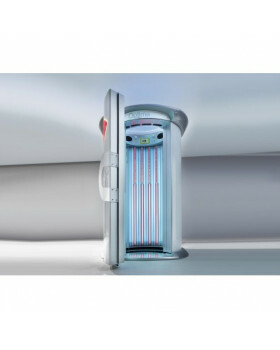 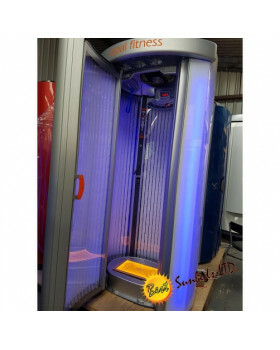 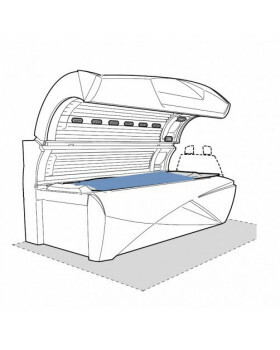 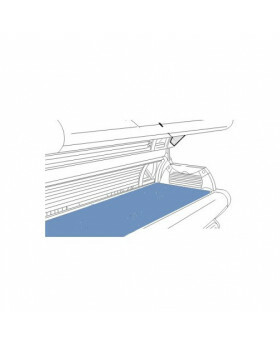 The sunbed is presented in Red/Pink and Grey and has display tubes to give a outstanding visual effect. 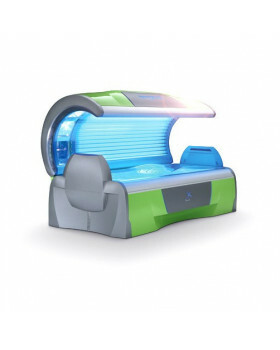 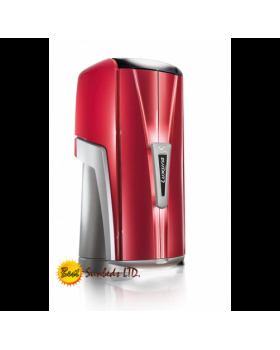 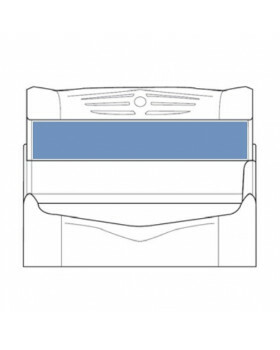 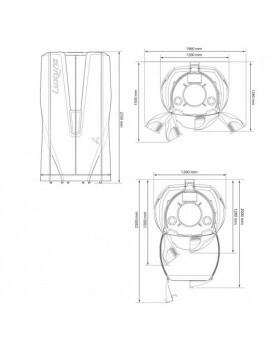 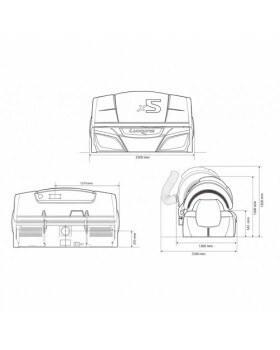 It features aroma therapy, aqua spray mist, air conditioning, voice guide and an inbuilt music system.